Phase 4 construction of the Yangshan Deep-Water Port, which is under installation and commissioning, is planned for trial operation by the end of the year. 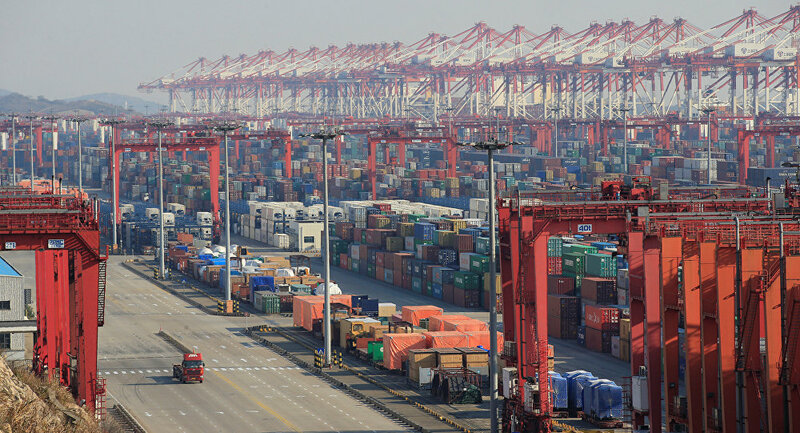 As the core of the Shanghai International Shipping Center, the automated port is the largest in the world in terms of both scale and size. The fourth phase has seven berths along a 2.35-kilometer quayside. After it is put into operation, the phase-4 port will have a handling capacity of four million TEUs per year and container volume will eventually be increased to 6.3 million TEUs per year. The emergence of the Yangshan Deep-Water Port is closely related to China’s manufacturing. The construction of the port, from the facilities to the control systems to the hardware and software, entirely depends on domestic technologies. The Yangshan Port is part of a concerted effort of backward integration with hinterland cities and towns in the prosperous Yangtze River Delta Economic Zone, which contributes about 100 million TEUs to the port, said Fang Huaijin, vice president of the Shanghai International Port Group. A comprehensive logistic network has formed along the Yangtze River, covering 22 projects from 12 cities and regions, including Nanjing, Jiujiang, Wuhan, and Chongqing, Fang added. The port is now seeking opportunities along the Maritime Silk Road, Fang disclosed, adding that the fourth phase of the Yangshan Deep-Water Port will serve as the gold standard for ports that want to participate in the Belt and Road Initiative.